ABU DHABI, 8th June, 2016 (WAM)--The UAE Cabinet, chaired by Vice President and Prime Minister and Ruler of Dubai, His Highness Sheikh Mohammed bin Rashid Al Maktoum, has congratulated President His Highness Sheikh Khalifa bin Zayed Al Nahyan, Members of the Supreme Council, the Rulers of the Emirates, and the people of the UAE, as well as the Arab and Islamic countries, on the occasion of the holy month of Ramadan. Sheikh Mohammed stated that "The UAE, led by His Highness Sheikh Khalifa bin Zayed Al Nahyan will continue to promote the principles of tolerance established by the late Sheikh Zayed bin Sultan Al Nahyan. The tolerance is a key value of our ancestors and our founding fathers. The UAE has succeeded in spreading it throughout the Arab region and the world." He also said, "The holy month of Ramadan is a great opportunity to spread the spirit of tolerance, and show the real image of moderation, and respect for others. Tolerance is the basis for building societies, and promoting values of peaceful coexistence. Today, we need to be more tolerant and united to face the changes happening around us." 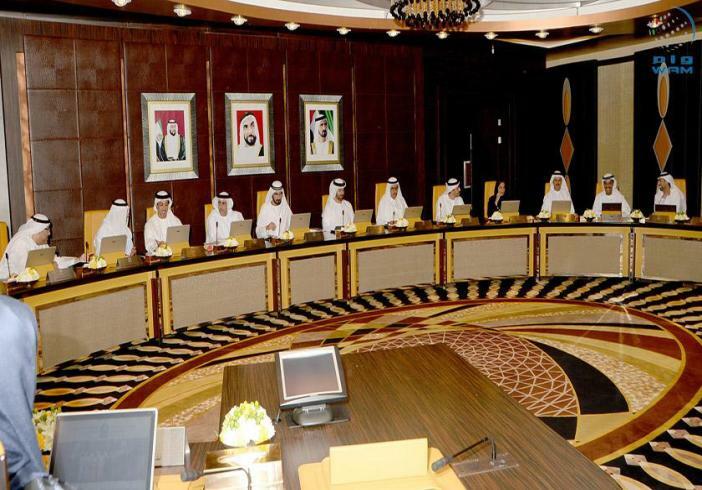 The UAE Cabinet meeting was held today evening at the Presidential Palace, in the presence of H.H. Lt. General Sheikh Saif bin Zayed Al Nahyan, Deputy Prime Minister and Minister of Interior, and H.H. Sheikh Mansour bin Zayed Al Nahyan, Deputy Prime Minister and Minister of Presidential Affairs. During the meeting, the UAE Cabinet approved the National Tolerance Programme presented by Sheikha Lubna bint Khalid Al Qasimi, Minister of State for Tolerance. Sheikha Lubna presented the National Tolerance Programme before the Cabinet, highlighting the values of tolerance in the UAE society. The programme is based on seven main pillars: Islam, UAE Constitution, Zayed's Legacy and Ethics of the UAE, International Conventions, Archeology and History, Humanity, and Common Values. She emphasised that through these solid values, the UAE society will continue to build up tolerance, multiculturalism, culture of acceptance of others, and reject attitudes of discrimination and hatred. 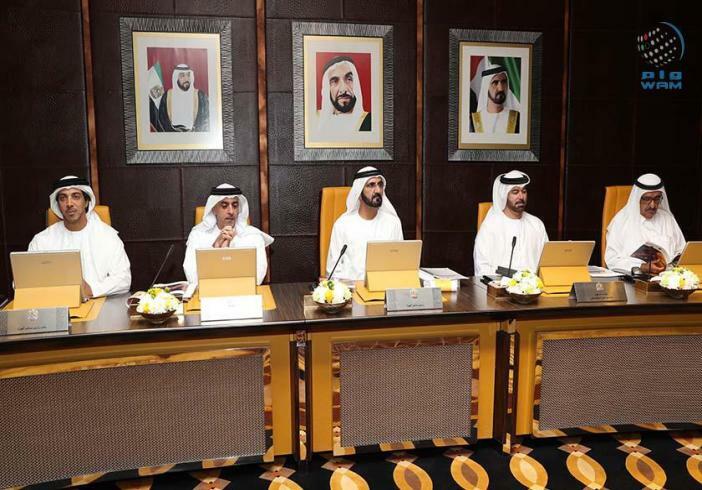 In cooperation with various entities and through special team work, thought initiatives and national programmes will be launched such as the establishment of a Council for Tolerance and the UAE Tolerance Centre, and the launch of Tolerance Responsibility Programme for Organisations, and the UAE Charter of Tolerance and Coexistence and Peace. The National Tolerance Programme will be in collaboration with federal and local entities under five main themes: Strengthen government's role as an incubator of tolerance; Consolidate the role of family in nation building; Promote tolerance among young people and prevent them from fanaticism and extremism, Enrich scientific and cultural content, and Integrate international efforts to promote tolerance and highlight the leading role of UAE in this area. As part of the programme, members of various segments of the society will be selected as the ‘Voice of Tolerance’ to promote tolerance and reject attitudes of racism and hatred through a number of activities and events, and the use of social media, in partnership with various media outlets. The first theme includes Tolerance Responsibility Programme for Organisations, the first programme of its kind in the world, which will encourage organisations to support tolerance. The program will also launch the UAE Charter of Tolerance, Coexistence, and Peace, which is a set of agreements related to citizens, residents, teachers, students and employees aimed at promoting tolerance, coexistence and respect for cultural diversity, and the rejection of violence, extremism and racism. It will establish the UAE Tolerance Centre, which will work on studies and research promoting the concepts of tolerance and respect for others. The Centre will also provide scientific and cultural content on tolerance and the best practices related to people’s daily life. As part of the agenda of the meeting, the Cabinet approved the issuance of the executive bylaws of the Federal Law No. (2) for the year 2014 on small and medium enterprises, that aim to regulate and develop the small and medium enterprises sector and entrepreneurship. The Cabinet also approved a unified definition of small and medium-sized enterprises as one of the pillars of the Federal Law No. (2) for the year 2014 to increase competitiveness in the country’s SME sector and implement an integrated system of legislation, mechanisms, facilities and incentives for Emirati investors in SME sector. The unified definition has been approved for official use at the federal level. Its adoption by federal and local authorities as well as the private sector will lead to faster service delivery and creation of accurate database of projects in the SME sector. The Cabinet also adopted the federal law for Anti-Dumping and Compensatory and Preventive Measures, which aims to reduce the negative effects of dumped imports on national industries, leading to further investment and growth, as well as increase competitiveness and fair competition practices. 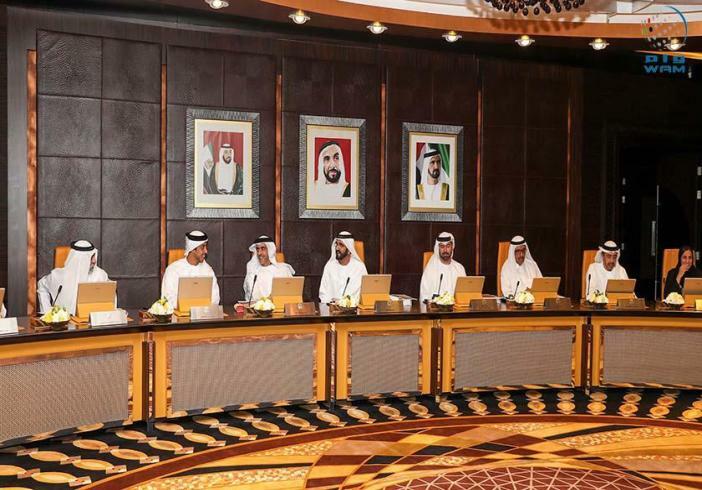 It approved the reformation of the Emirates General Transport and Service Corporation (Emirates Transport), chaired by Hussain Ibrahim Al Hammadi, Minister of Education. It also approved the restructuring of the health board under the chairmanship of Dr. Abdul Rahman bin Mohammad bin Nasser Al Owais, Minister of Health and Prevention. In addition, the Cabinet approved the request of the Federal National Council to discuss the Ministry of Education policy. The Cabinet also approved a document of the UAE's joining to the Treaty of Marrakech to facilitate access to published works for the benefit of the visually impaired or people with other disabilities. It also endorsed the UAE's joining the protocol of the 1988 International Convention for the Safety of Lives at Sea, 1974, as amended, and the accession of the UAE to the general protocol 1988 international Convention on cargo roadmaps of ships of 1966, as part of the UAE’s keenness on strengthening its international status and supporting relations with other world countries.